Of course, there are many benefits of an effective sales process that affect your team and organization. In this post, we outline the top four to give you a good basis for increasing your own process’ effectiveness, or as you’re creating one for the first time. 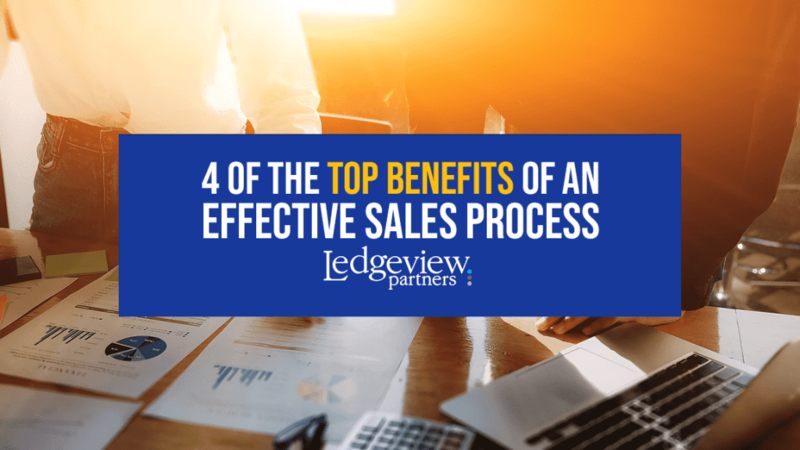 By having an effective sales process in place, sales representatives within your organization will better understand what they need to do to qualify a prospect. Consider the attributes that trigger the behaviors that indicate someone should be qualified within your organization. An effective process will clearly answer and lay this out for your team. Ask yourselves: What should we be doing to qualify leads? What should we be sending them? Where should we engage with them? When everyone knows what is expected of them to move through your organization’s sales process to make it effective and yield better results, results will show. As a result of setting expectations, the process of onboarding new sales reps also becomes more efficient, making this benefit widely beneficial. By creating consistency and having a list of best practices for your team to follow, you will start to glean from various sales team members, what is working, and what isn’t, then learn from them and refine your processes to create even better best practices. From a sales management perspective, this creates objective criteria for the whole team to be evaluated against. An effective sales process that is repeatable also makes for better, more accurate forecasting. As a sales manager, you can better understand where a rep is within an opportunity, and be proactive when you see any gaps in the sales process come up. An effective sales process makes your sales team more consistent. Sales reps are better suited to create a roadmap for the buyer as a result. This is because they’re pulling them through a set and defined process. This benefit will also help your marketing team show your solution’s value and differentiation consistently throughout the sales process, creating buyer confidence and ease, making them happier to work with your organization. An effective sales process creates efficient and productive reps. There’s no doubt about that. Since you’ve created a standard way for them to work through the sales process, they will move through it much easier, which may lead to more collaborations between them and help sales leadership, like you, to refine and enhance your processes to better suit shared needs and goals of the team and organization. Did you know that 96% of world-class sales team know why their top performers are successful and only 46% of average sales teams can say the same? This comes from recent research published by MHI Global. Effective sales programs foster customer retention and promote organic growth opportunities, all leading to something your whole organization will be happy about – increased profitability! 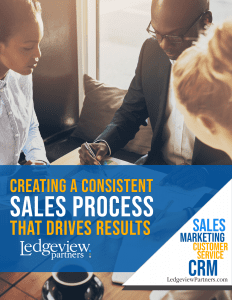 Start to create, refine, or realign your own effective sales process with Ledgeview’s new eBook, “Creating a Consistent Sales Process that Drives Results”.